Today’s fishing report: The fish took a snow day. So I contact the DOTD to come salt the walk, boat dock and deck, but they said they “had bigger fish to fry”. I told them that was the point. How could I catch any fish to fry if I couldn’t get to the dock? So, I just went outside to try out a new recipe. Not slow-grilled venison steaks. . . 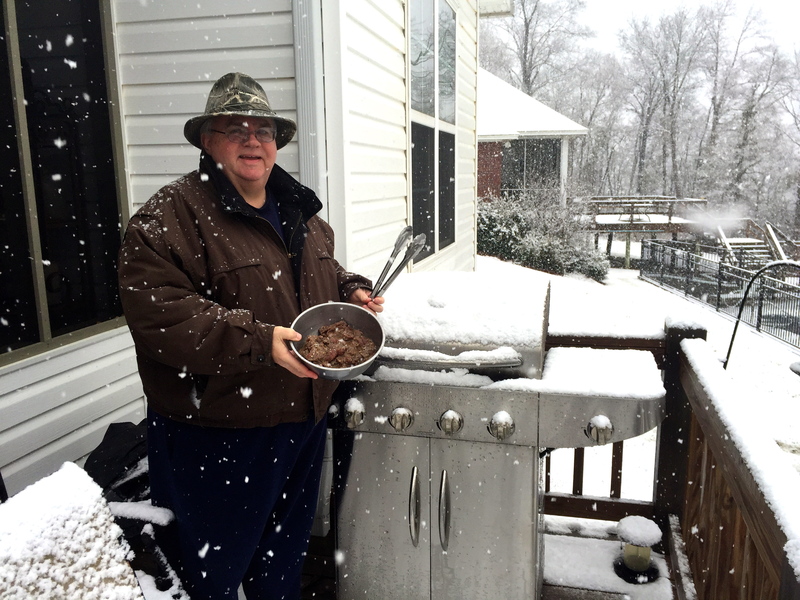 SNOW grilled venison steaks. Wish you were here…. « Crappie Masters for locals, too!